Debt consolidation programs are formulated to help those neck deep in debt for consolidating their bill payments and ultimately becoming absolutely debt free for the rest of their lives. Information about such programs is readily available online, over the phone or by way of face to face meetings with credit counselors employed by debt consolidation companies. When does a Debt Consolidation Program Work? How to Select the Right Debt Consolidation Program? Is Debt Consolidation Possible if You Have Bad or Poor Credit? Debt consolidation is usually applicable when a debtor is struggling with multiple debts simultaneously or wants to reduce his monthly repayments while also securing lower rates of interest. However, should you wish to maximize your potential savings that will arise from the process of debt consolidation, you should pay off all new debts at the earliest while also refraining from taking any additional debt. For instance, if funds from a fresh loan are being used to pay off the outstanding on a credit card, it’s only advisable that the old card is not loaded with fresh purchases. This would inevitably lead to existing debt levels spiraling beyond control again. Lender fees: The debtor may be asked to pay an application fee on a fresh loan or outstanding on his credit card as also exit fees if he is repaying a personal loan or refinancing his home loan. Government levies: Government taxes and duties may be applicable also if the debtor uses his home loan for consolidation of his debts. Therefore, it becomes imperative to carefully weigh any costs that may arise against your potential savings to ascertain whether the debt consolidation program would actually be viable for you. Thus, the most advisable thing to do to know if actually debt consolidation is the appropriate measure for you is to contact an accredited debt consolidation advisor who has the required expertise on multiple loan products. 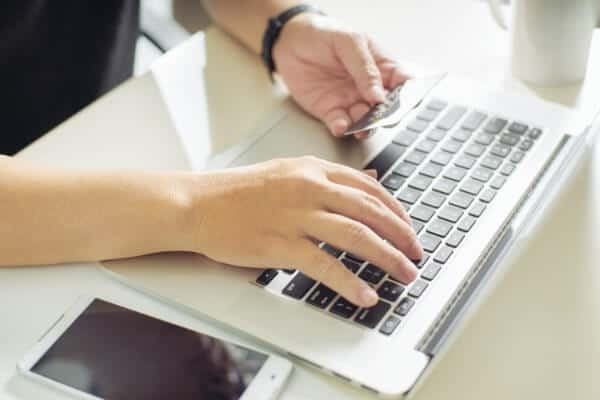 When you are riddled with multiple credit card payments which you are unable to make, the process of debt consolidation will help you amalgamate all outstanding dues into a single consolidated monthly payment. When you take into account all bills that you pay every month – rent/ mortgage, cell phone, utilities, internet, cable plus maybe 4-6 credit card payments made monthly, the situation can be quite overwhelming and leave you at your wit’s end. Moreover, multiple payments often have to be made weekly and losing tab may result in late payments, which can set you back by a substantial sum by way of fines and extra fees. This is where debt consolidation comes to your rescue by providing you with the privilege of a single monthly payment to ultimately make you debt free over a certain time period. Debt consolidation companies, also called credit counseling agencies advise their clients on proper budgeting of their resources while also offering them options to eventually erase the curse of debt from their lives. This is done by way of debt management programs, debt settlements, debt consolidation loans and, when no other option is available, through bankruptcy. These may be non-profit organizations which work first for the benefits of their clients and not for their own commercial gain and charge the lowest fees for their services, as directed by law. They negotiate with creditors for lowering or even waiving their interest rates and make suitable arrangements so that the debtor can make affordable payments on a monthly basis within a maximum period of five years. The process of consolidating all your debts pertaining to your credit cards with a debt consolidation agency is simple. You set the ball rolling by calling the debt counselor personally or online and state the nature of your problem. The credit counselor, on receiving your information, will start advising you on how to go about the debt consolidation process, free of cost after reviewing your financial status. Once you authorize the counseling agency to get your personal credit report, it will give you a comprehensive list of all your plastic debts and schedule of monthly payments. A budget will then be worked out based on your monthly income and subsequent expenses, and this will eventually reveal the amount payable towards consolidation of your credit card debts every month. Once this is determined, the debt consolidation agency will offer you multiple consolidation solutions along with a clear explanation of the pros and cons of each. You may opt for a loan for debt consolidation, bill consolidation by way of a program for debt management, home equity loans, or through balance transfers from credit cards carrying higher interest rates to those with promotional and lower rates of interest. We have spent some time discussing the many different occasions and situations where it’s best to consolidate your debt. However, it’s important to also observe the different situations where consolidating debt can be too risky, leading to life-altering circumstances. Through-out this article, if you might have notice, we barely included any information regarding mortgages or home loans. In the financial sector, these loans are better known as “secured loans”. When it comes to debt consolidation, it’s recommended to stay away and never consolidate any secured loans, including your home or mortgage loan. If you combine both credit card debt, or unsecured debt, with a mortgage loan, or secured debt, you are at a grave risk. Reason being, with credit card debt, or unsecured debt, there is no collateral that lenders are after. With secured debt, like a mortgage, lenders will use your home as collateral and will take your home if you default. If you consolidate both unsecured debt and secured debt together, lenders will begin the foreclosure process if you fall behind on your bills. The rule of thumb is to keep secured debt, secured debt. Never combine never forms or types of debt. In our expertise, debt consolidation is only best for unsecured debt. Since all outstanding dues are converted into a single loan, paying it off becomes much easier as also more convenient than having to juggle multiple debts of different natures. This results in less paperwork, and you receive only a single set of statements. Moreover, you also enjoy the convenience of dealing with just one creditor with a sole contact point. Debt consolidation is a proven method to make budgeting easier for repayment of loans. A single payment made monthly takes care of all your dues instead of having to manage several repayments separately at various times and dates of the month. The greatest advantage of debt consolidation is that you get to make substantial cash savings from it. Since you get the benefit of lower interest rates, you save hugely on your monthly repayments and perhaps thousands of dollars even from the interest bill overall. Even loan fees and charges get eliminated as you end up paying the cost of one single loan instead of having to pay several ongoing fees. This in the long run, certainly helps you become debt free faster. As with the many advantages that come with debt consolidation, there are also a few disadvantages that must be taken into consideration. First and foremost, it’s important to understand that debt consolidation may not solve any or all of your problems. In fact, debt consolidation can be incredibly risky, leaving borrowers in more debt than they began with. What many people are unaware of is that, when an individual consolidates their debt, creditors, or the lenders, do not need to abide by consolidation. 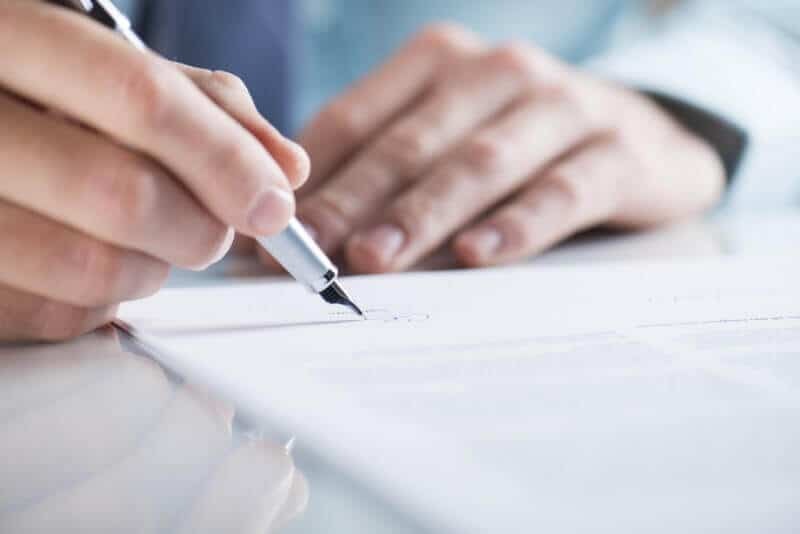 Reason being, by contract, those who choose consolidation are breaking the contract, which can result in higher fees, charges, and even, in rare cases, being sued by the lender. Moreover, another significant disadvantage or risk of debt consolidation is that, once your debt has been consolidated, you do not have any say as to how debt is handled. In other words, debt consolidation companies have full jurisdiction as to how your debt is paid off. As you might imagine, depending on their tactic, it may result in extended loans or credit card balances due to high interest rates. Much of the debt consolidation disadvantages can be averted by simply communicating with debt consolidation companies before select a specific debt consolidation program. Ask questions regarding their priorities, how they handle debt payments, and how they communicate this information to your creditors. Rule of thumb is to select a company that is willing to work with you and put your best interests first. It’s the usual practice of all debt consolidation agencies to offer you multiple choices in terms of debt consolidation programs offered. However, to finally select one, look at the fees and interest rates involved. The consolidation program must satisfy you on the following points before being selected: Monthly payment that needs to be made; portion of the payment applicable to the principle and interest, respectively; details of the payment schedule and how long it would take to be totally debt free; set-up fees or origination charges; fines imposed for late payments and, most importantly, whether the monthly payment is affordable to you. Remember, an efficient debt consolidation company will always work out an affordable monthly payment plan for you, no matter what. Additionally, also check out the agency’s profile on the Better Business Bureau (BBB) website and its accreditations. A Council on Accreditation rating coupled with an A+ rating from the BBB usually spells reliability and safety. As compared to a conventional loan for debt consolidation, a program for effective debt management helps lower the interest rates and also consolidates your payments towards credit card debts, in spite of poor or even bad credit. This is simply due to the fact that a debt management program doesn’t extend new loans or credits to you. On the contrary, it simply helps you gather your fragmented payments together so that you can make them on time while also lowering the current interest rates. This is simply because as you enter a debt management program, all your creditors view you as a potential risk for bankruptcy where they stand to lose it all should you be declared bankrupt. Therefore, they are compelled to make your payments more affordable by way of lower interest rates and late fee waivers so that you don’t eventually default on your payments. When you consolidate bills through a debt management program, you also need to pay a nominal price to your chosen agency. The advantage of working with a non-profit organization is that you pay a nominal set-up fee, which is about $40 plus a monthly maintenance fee of around $25. This certainly works to your advantage because had you chosen a profit-oriented debt consolidation agency or bank, you would have to pay interest and also charges for loan origination in order to get and maintain your loan for debt consolidation. As debt consolidation is all about taking out a fresh loan to repay smaller debts, getting a big loan may be somewhat tricky and difficult. This is more so if your personal credit score is not up the mark which may actually disqualify you for such a loan. Then again, should you qualify, you may not be eligible for the lowest interest rates. Moreover, for bigger loans, origination fees may work out to a couple of thousands extra. Finally, even if you secure the debt consolidation loan along with a reasonable monthly payment, the repayment period may stretch to a decade or maybe even longer. This would undoubtedly increase your debt burden and keep you debt-trapped for a longer period of time. However, to be debt-free would depend totally on your determination and motivation. If you decide to live without debt, a program for debt consolidation can certainly come to your rescue.